Unidoor 33 to 34-inch x 72-inch Frameless Hinged Pivot Shower Door in Brushed Nickel with Handle is rated 4.7 out of 5 by 25. Rated 5 out of 5 by GDR from High quality glass and installation options. Very... High quality glass and installation options. Very good looking finished product completes bathroom project in time for New Year and next job. 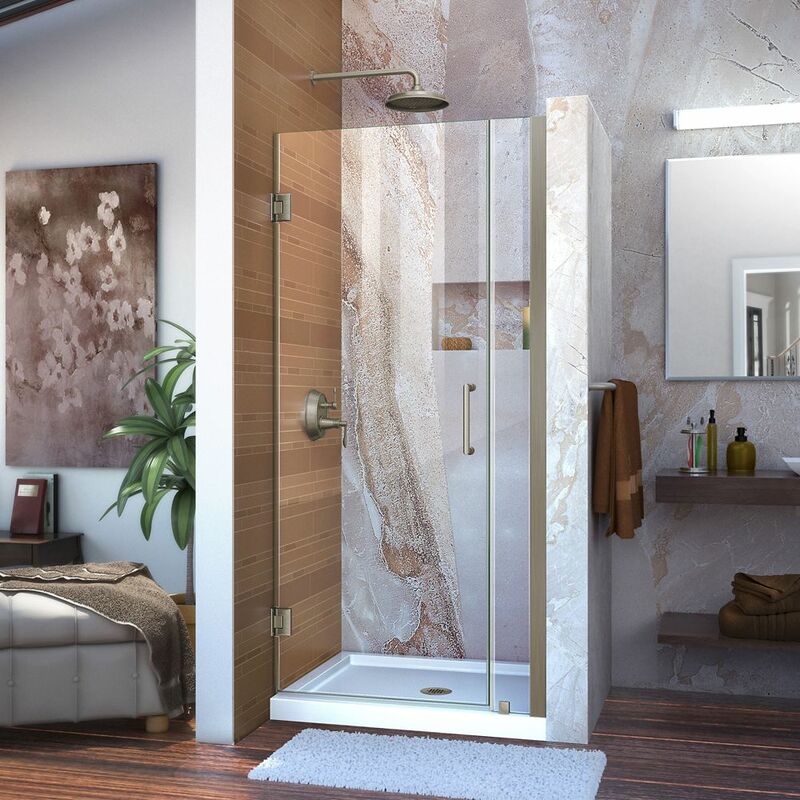 Rated 5 out of 5 by Don from Complimenting our new custom tiled shower, the frameless Dreamliner Unidoor... Complimenting our new custom tiled shower, the frameless Dreamliner Unidoor is a first class addition to our master bath. The quality of the 3/8 inch spot resistant glass as well as the hardware and clear water guards is outstanding. A professional installer is a must, as well as, proper planning. Rated 5 out of 5 by Chris from Installation wasn’t as bad as I thought. Looks beautiful, well... Installation wasn’t as bad as I thought. Looks beautiful, well worth the money. Rated 5 out of 5 by Judith from It’s beautiful.... It’s beautiful.